The Spectra Nova: Word Origins, The Spectra Nova? I've always had the knack of being able to put something together in a way that was either aesthetically pleasing to the eye or the ear. 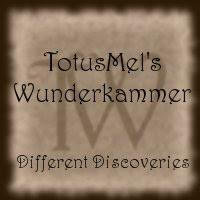 When it comes to words spoken or read, I am by no means a master, but the process of naming thyself to the ether is just as important as the idea that spawned it, and I shall tell you why. The inspiration? For some of you, Bantam Spectra pops into mind, or Spectra Special Editions. The Kia Spectra and perhaps the Electromagnetic Spectrum? Or what about The Nova Albion Steampunk Exhibition? It has been said that Nova is a Hopi Indian word for "she chases butterflies". As pretty and whimsical as it sounds, that is actually not true. For the word Nova, in Hopi, means food. Unfortunatly, none of these were the inspiration for my choice. When I first became familiar with Steampunk some years ago, it became apparent to me that there was a very broad spectrum of Steampunk Fashion to be had, mostly done in metallics, dark reds, emeralds, royal blues, blacks & browns. In juxtaposition to my own work, I used a lot of the very same shades. My work, dripping in brass, steele, enhanced with vivacious amount of organic color that STOOD OUT, fit. Hence Spectra, Spectrum: a continuum of color; an array of entities, as light waves or particles, ordered in accordance with the magnitudes of a common physical property, as wavelength or mass. As for Nova, this word holds special meaning to me. 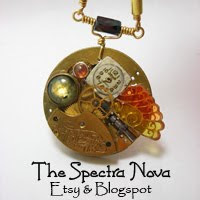 I came once upon a marble, but when I looked inside, I discovered the Spectra Nova. 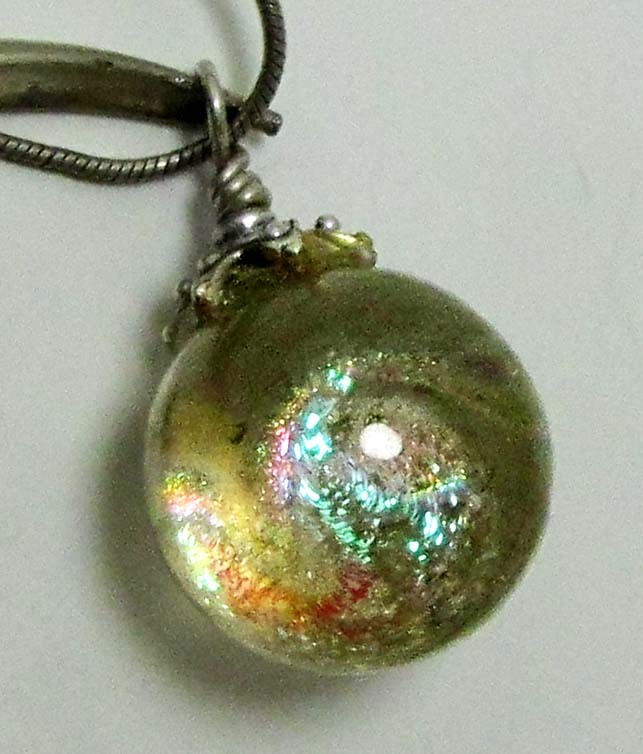 It's exploding iridescent form hung within the balance of it's captor, the clear crystal that keeps it's power. Yes, I speak of a marble with some dichroic glass in it, that kinda looks like an exploding star or a tiny galaxy, whichever you prefer. But, with a little imagination, this became my portal, my black hole, my super nova, if you will, to another time, another place, (inspired & reminiscent of H.G. Wells, minus the machine) and ultimately the next mental step in the progression of working wire and making wearable art.